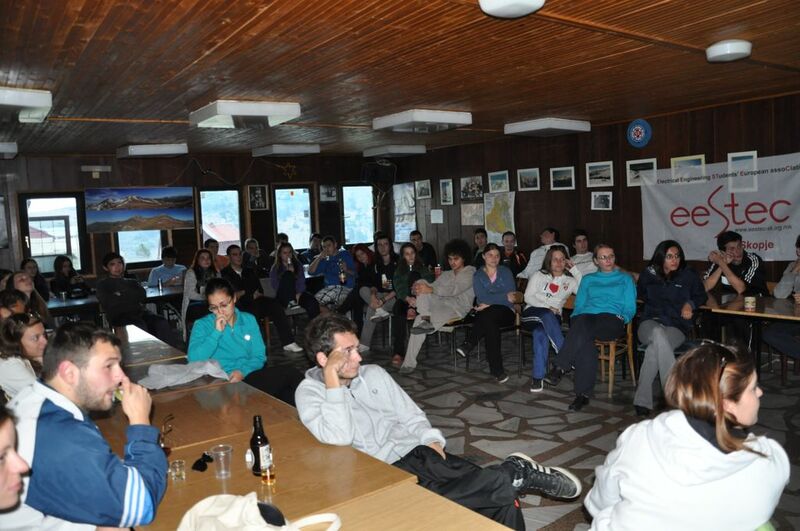 When I joned EESTEC (LC Skopje) about half year ago, almost all of the existing members were talking to me about some event called “Motivational weekend”. 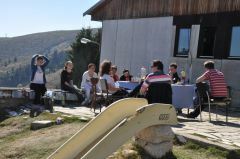 Few weeks after that, in May, we went on the first EESTEC motivational weekend for 2012 in Mountain house “Vrteska” on the mountain Plackovica. 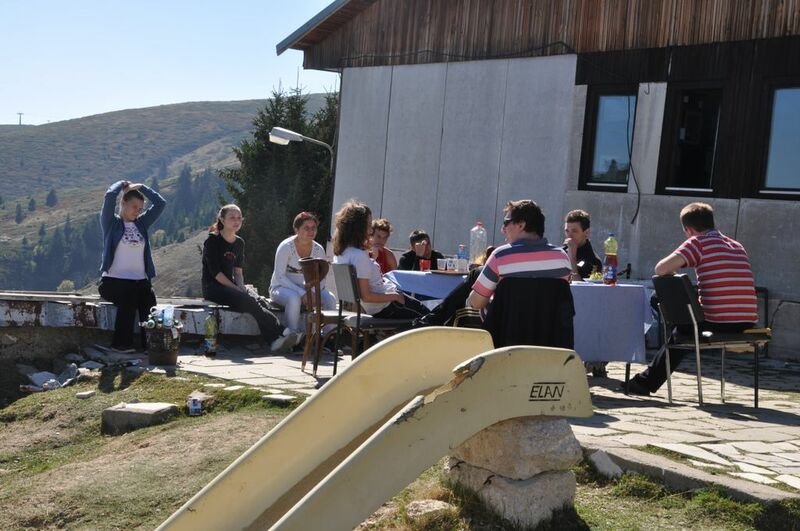 Today, I just got back from my second motivational weekend, held in the Mountain house “Smreka” on Popova Sapka from 05 to 07 October. The “Motivational weekend” is organized twice a year – in spring (usually in May) and in autumn (usually in October). Its main goals are giving the new and the existing members of the organization a better chance to meet each other, learn some new soft skills, have fun and spend some quality time in nature. Everything is organized by and for the students, members of the organization. Popova Sapka is a ski resort near Tetovo on the Sar Mountain, at 1,690 meters above the sea level. It is a major winter destination in north-western Macedonia. Even it is mainly a winter destination, it was still great in this period of the year. The weather was awesome! The days were sunny and perfect for being outside. The event was attended by about 60 students, from whom I think almost half were new members, which proves the fact that with EESTEC you can always meet many new and great people. One of the most significant ways for getting the members to meet each other was letting them to play and work together as teams in the games used as an introduction for every soft skills training. We were divided on 5 teams for better collaboration in preparing lunch, cleaning, games etc. The first activity after we arrived was playing a fun game for meeting each other. Everyone was given a balloon to write his/her name on it, throw it in the room and get another random already signed balloon. We needed to find the person whose name was written on the balloon and learn something about them. After that, we presented that person to the others. 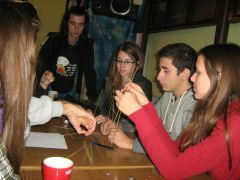 Later after the break for unpacking, breakfast and coffee we played the famous Marshmallow Challenge game. 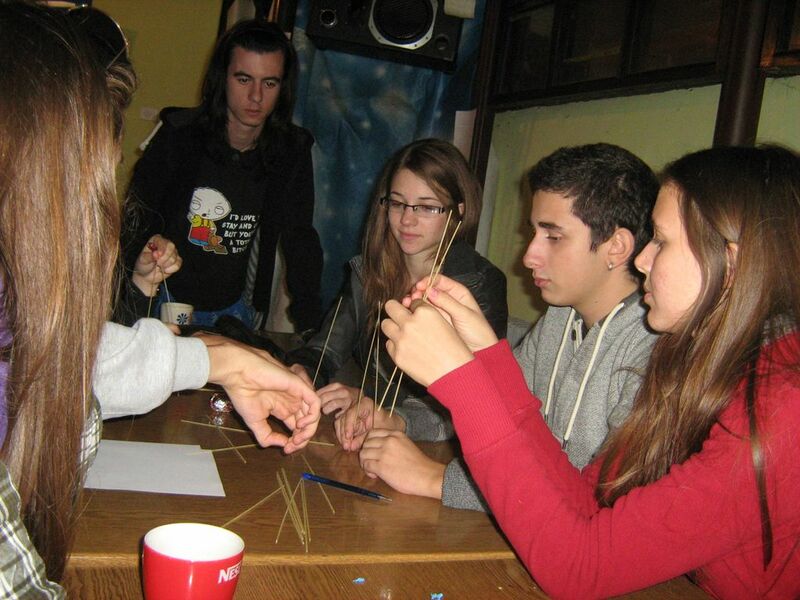 The teams were given limited number of spaghetti and 1 meter long sellotape and had to build a tower that would be stable enough to hold the marshmallow cookie on the top. Winner was the team with the highest tower. After the game we had the first training about team building, presented by Tase. He presented the main characteristics of the team, forming the team, working as a team etc. There was a good discussion about the differences between a group and a team. Before the second training, we played a game in which we were given an egg, limited quantity of paper and sellotape, and we had to make a cover using the given materials for the egg to stay unbroken after it was thrown from few meters height. 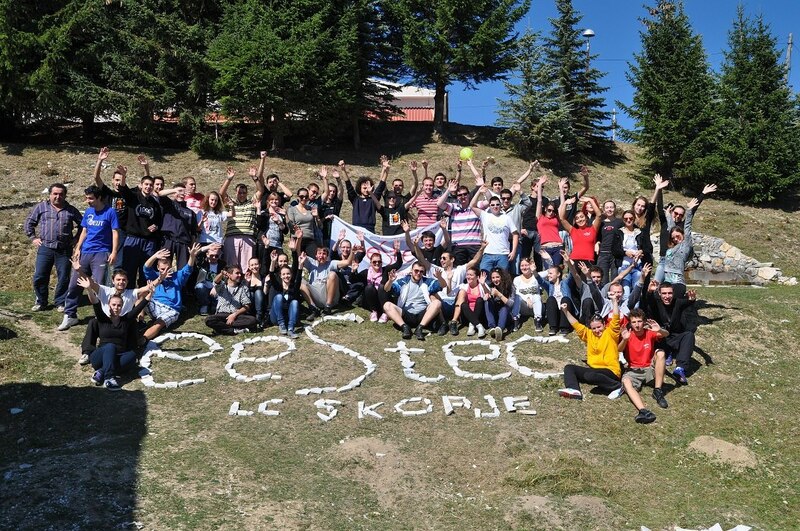 The training was done by the current EESTEC LC Skopje’s leader Andrej and was about leadership, how to be a good leader etc. We also discussed about the meanings of the words leader and manager. The event’s evenings are reserved for partying. You’ll sure find a good company for having fun and you should definitely try the famous drink in EESTEC LC Skopje – Tase’s rakija. The mornings in the mountains are my favourite. Drinking the first coffee with many great people, while enjoying the nature is even more lovely. The learning part of the second day began with Irena’s presentation on “How to do presentations”. We could learn how a good presentation is made, how it should look, how to prepare for presenting, small but important tricks etc. After that I went out for a walk to explore the nature a little more and to meet with some friends who came from Tetovo, so I missed the games and the second training. I also went to the mountain house “Konak” which also seemed as a nice place to get some rest and beer when you’re in the mountain. When I got back to our place, we had probably the most important part of the weekend. The current leading board presented their positions in EESTEC LC Skopje and every member chose which one looks most interesting to them. According to that, we formed 5 teams related to every position – team of leaders, team for human resources, public relations, contact persons and fund rasing. Every team had to make a plan how they would do ther job for a given fictional event and present it later. And after the party in the night, we came to the third and last day. We didn’t have any special activity this day and we used it to have fun outside and enjoy the sun. In the afternoon we packed our stuff and got back to Skopje. All in all, it was one great weekend spent in a very beautiful part of our country with many great people. Unless otherwise stated, the content of this blog is licensed under a Creative Commons Attribution-NonCommercial-ShareAlike 4.0 International License.